A tornado caused a portion of an Amazon warehouse in Baltimore to collapse the night of Nov. 2 , killing two people. Fire crews were called to the company's Fulfillment Center around 10:30 in the evening regarding a possible collapse. When they got to the scene, they found that a 50 ft.-by-50 ft. wall had gone down, as well as the roof, ABC News reported. Baltimore Fire Department Chief Roman Clark said one of the victims was rescued from beneath heavy debris and was transported to the hospital, where he later died. A second victim was discovered around an hour after, said Clark. The employees were both third-party contractors who did not work for Amazon, ABC News reported. 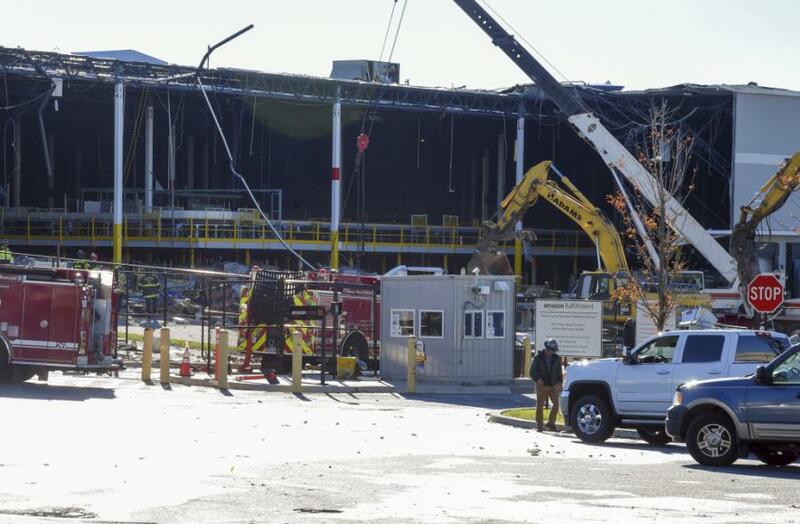 "The safety of our employees and contractors is our top priority and at this time the building remains closed. We are incredibly thankful for the quick response from emergency services. Our thoughts and prayers go out to the families impacted by Friday evening's tragic event."